Brown color has the sense natural and tropical mood. 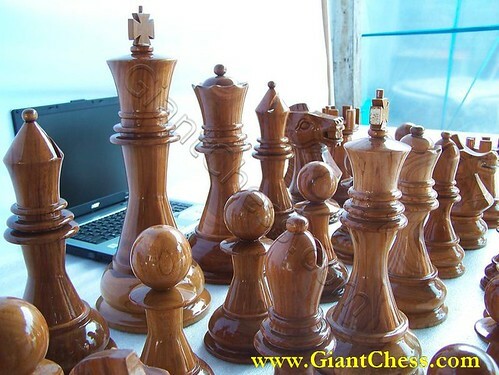 For those reasons, we create giant chess piece in brown color. It is best used as decoration. The chess piece will give warm feeling to your room. Glossy and elegant. Perfect to welcomed your guests in your living room or accompany you in your library room. Wooden chess set has made of Teak wood and craved by professional craftsman. We choose the best Teak wood as main material that has dried and processed it in good quality. We maintenance and care the product carefully in our factory. We are manufacturer of big wood chess set that grow in Java island. You will get good price if you order to us and we also provide for its chess board, which also made of Teak wood so they are very durable to use outdoor and indoor.